You have probably been hearing a lot about rose water and why it has become a part of a woman's beauty regimen. Did you know that you can make your own rose water and the process is so simple. Whether you have roses blooming in your garden or there's a bouquet of roses that has started to dry up, you can make use of them. Wash each petal to make sure they are free from insects, soil, dirt and pesticides. Put the petals in a saucepan and pour the two cups of distilled water. (Tip: If you want the rose water to last longer, consider putting one tablespoon of vodka). Cover the saucepan with a lid and set the heat to low. Make sure that the water will not boil. When the water has started to take the color of the petals, you can already remove the saucepan from the heat. 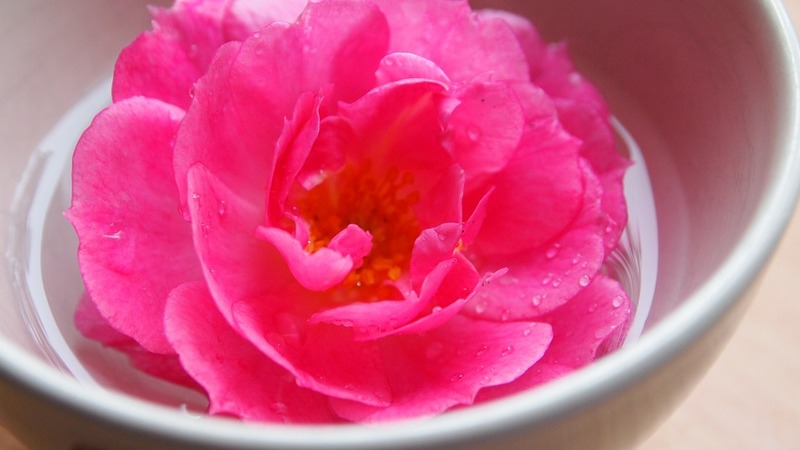 Transfer your rose water to a mason jar using a strainer to separate the petals from the water. When the rose water has reached room temperature, you can store it in the refrigerator to make its shelf life last for a week. Put your dry rose petals in a mason jar. Pour the hot water over the petals. Cover the jar and let it stand for fifteen minutes. Once the rose water has reached room temperature, transfer using a strainer to another jar to make sure there are no petals residue. Store the jar in the refrigerator to make its shelf life last for a week.